If you’re shopping for a new Chevrolet, Buick, or GMC model in the greater North Pole area, you’ll want to rely on Chevrolet Buick GMC of Fairbanks. Here, we have 235 new vehicles for sale. From the capable GMC Sierra 1500, to tow-tough vehicles like the Chevy Silverado 1500 and the GMC Yukon, to even the compact and peppy Chevrolet Cruze, the GM organization has a vehicle for just about anyone. Explore our 235 new Chevy SUVs, trucks, and cars here, and then fill out this easy-to-use schedule test drive form to test drive your favorite vehicle. 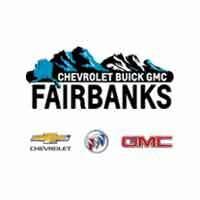 Why Choose Chevrolet Buick GMC of Fairbanks? A full coffee bar, shuttle buses, and more! Our sales team is standing by to help you lease or finance the model that suits your needs. Ready to get started? Simply complete this handy contact us form, and we’ll get in touch with you shortly.